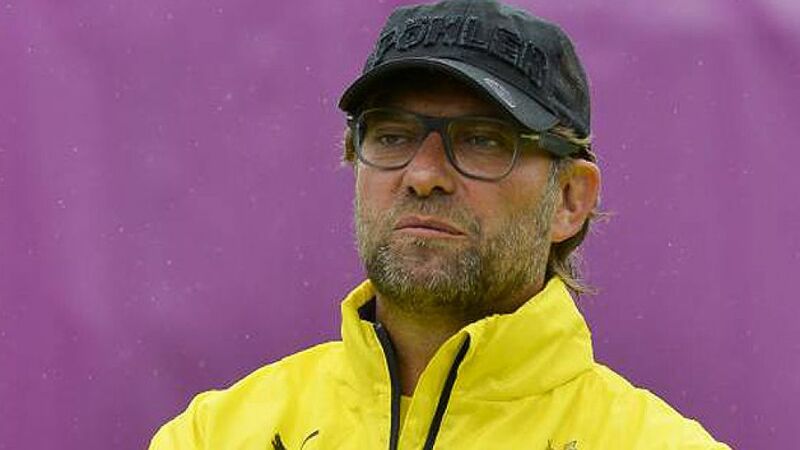 Dortmund - Jurgen Klopp may have accepted that FC Bayern Munich are the team to beat in the Bundesliga this season, but the Borussia Dortmund head coach insists his side retain the ability to compete with and beat the all-conquering Bavarians. Klopp used a similar analogy after Dortmund’s 4-1 win at home to Real Madrid in the UEFA Champions League semi-final first leg in April, and it is on such experiences that he wants his side to build. “You can’t take anything away from what Bayern did last season. We won nothing last year, but perhaps there’s a strength we can take from that,” said the former 1. FSV Mainz coach. For now though, Klopp's attention is on firmly on his own star-stacked ensemble, which was bolstered by the arrivals of Lewandowski and Jakub Blaszczykowski, two late returnees from their summer break following international duty with Poland. Furthermore, the tactician was able to welcome new signings Sokratis Papastathopoulos and Pierre-Emerick Aubameyang for their first training session with the club. The two players were introduced to their team-mates and presented to the fans on Saturday evening (6 June), meaning that apart from goalkeeper Mitch Langerak, the entire squad is now back for pre-season and ready to begin preparations for the first game of the campaign, a DFB Cup clash against SV Wilhelmshaven on 3 August.